BECOME A BOXMAN AND HELP PEOPLE AROUND YOU ! I WANT TO BECOME A BOXMAN, HOW DOES IT WORK? Download the app, create your account and start to deliver ! Download our app and simply create your account. Let us proceed to a quick validation of you account using the information you provided us. You are ready for your first deliveries ! Download our free app Available for Android & iOS. MyBoxMan offers you to make extra money everytime you travel or commute. Use MyBoxMan whenever and wherever you want. Turn on and off alerts depending on you free time and itineraries. MyBoxMan is your personal as needed delivery person to deliver or receive any item. At no additional charge, by simply completing an order, MyBoxMan is clicks away for your service. Do I need a car or van to become a BoxMan? You don’t need to own a car or van to become a BoxMan. 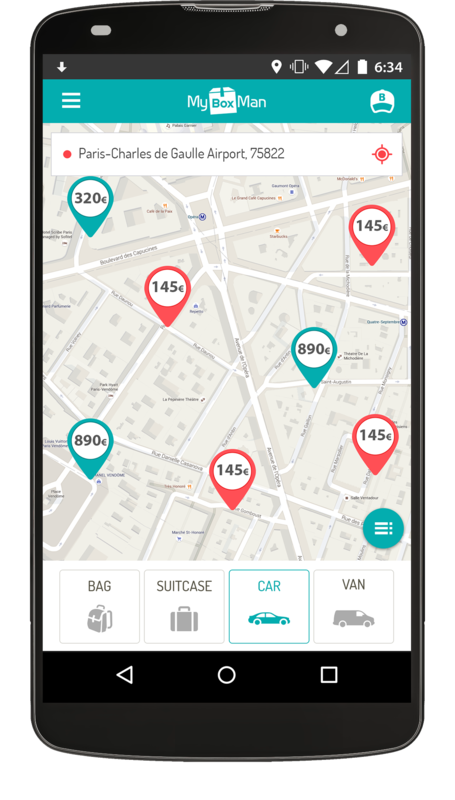 Using your feet, your bycicle or public transportation, you can optimise your travels by choosing the MyBoxMan missions around you. For example, your daily travels. How much money can i expect to make as BoxMan? Sky is the limit! MyBoxMan can provide flexible unlimited number of work assignments. New BoxMan can use this opportunity as full or part time job. We didn’t answer you question? Please contact us on support@myboxman.com. We will be glad to answer you directly. MyBoxMan is a mobile application rated 4.1/5 by 57 users on the PlayStore. Our mobile application will be available very soon, we will contact you soon to start the MyBoxMan adventure ! Thank you for you interest in becoming a BoxMan ! Please fill out the inscription form below.